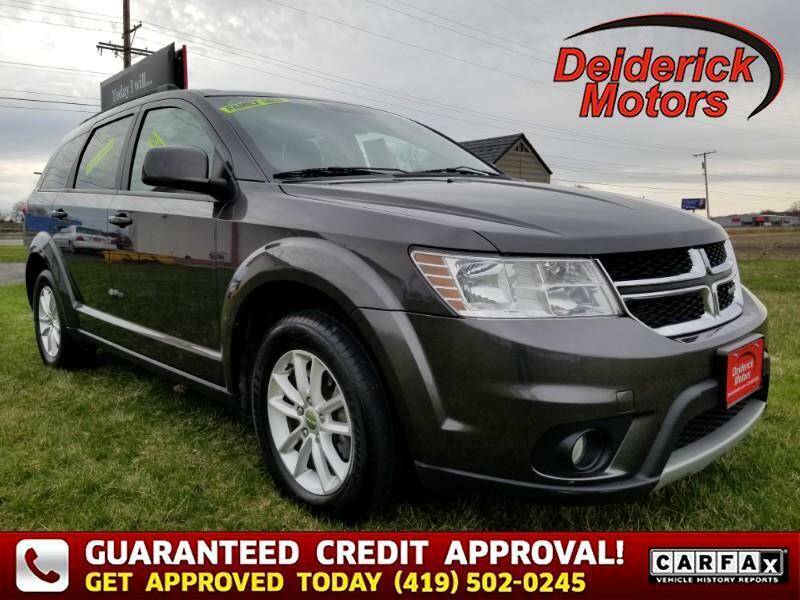 Our 2017 Dodge Journey SXT in Granite Metallic Clear Coat lets you take command of your day with family-friendly functionality! Powered by a proven 3.6 Liter V6 that offers 283hp while matched to a 6 Speed Automatic transmission for amazing passing authority. This efficient Front Wheel Drive team rewards you with a smooth ride and excellent maneuverability as well as near 26 mpg. Roof rails, great-looking alloy wheels, and distinctive taillights accent the bold muscular exterior of our SXT.